The drama behind Fortnite: Battle Royale’s v8.20 gameplay changes that removed health and shield per kill and slowed down material harvesting in default playlists is still not over. Star streamer Tyler “Ninja” Blevins has stopped short his Fortnite stream this morning after losing several standard solo matches in a row and being unable to play the new competitive Arena solo mode due to long queues. “I’m playing something else,” Ninja said. “Unless they fix something in this solos, I’m not playing this game anymore unless I’m playing Arena duos or Arena solos with Reverse.” He then closed Fortnite and started playing Sekiro: Shadows Die Twice. 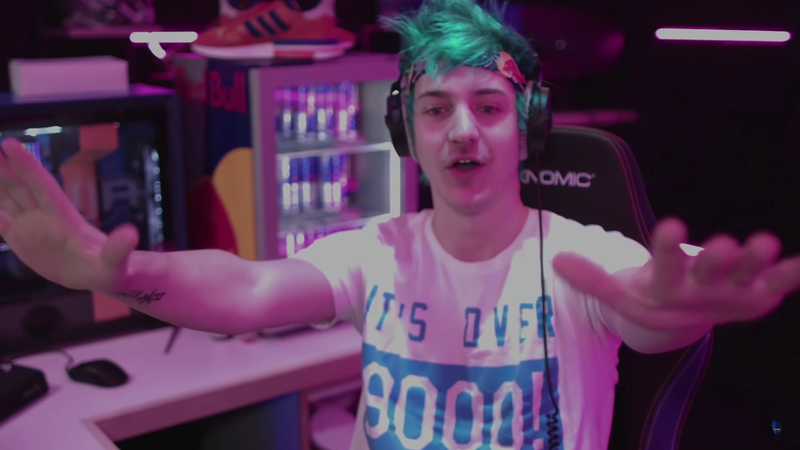 Ninja is one of the streamers who have been criticizing Epic Games for the removal of Siphon mechanics from standard game modes. He said a few days ago that the Squads game mode had become “dumb and boring” after the update. Epic wrote in the v8.20 patch notes that it restrained these mechanics to competitive modes because in standard modes they had led to “an unhealthy level of aggressive play, diminishing other viable strategies.” The company hasn’t commented on the possibility of reverting these changes so far.